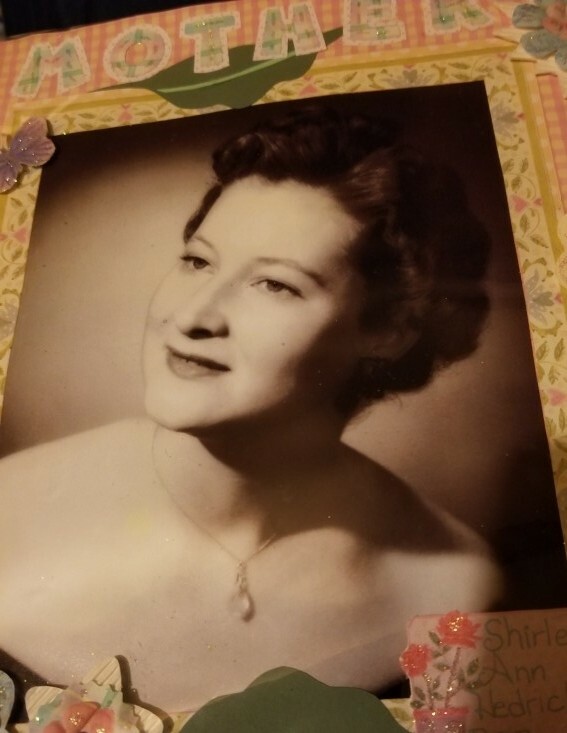 Shirley Ann Bean, 83 of Oroville, CA. passed away August 4, 2018 in Chico, CA. She was born to Frank and Arizona Hedrick on November 15, 1934 in Memphis, TN. Shirley worked as a clerk/typist for 16 years in the probation department for Butte County. As a young woman she was a member of the U.S.O. and especially enjoyed attending their dances. She enjoyed computer gaming and going to casino's. she was a member of teamsters union #137. Shirley's true passion was for her family and pets. She is survived by a son Michael, Daughters Nanette, Victoria, Xina and Sandy. She has 18 grandchildren and 5 great grandchildren. she was also preceeded in death by 2 sons Steve and Duane. no Services are planned at this time.